The comfort of the padding was perfect for me and the handles made it very easy to get up off your knees. I have osteo arthritis in my knees. This works great in the garden, but it also works well in the home when cleaning the tub, bathing grandchildren; removing or putting up items on low shelves or cabinets. 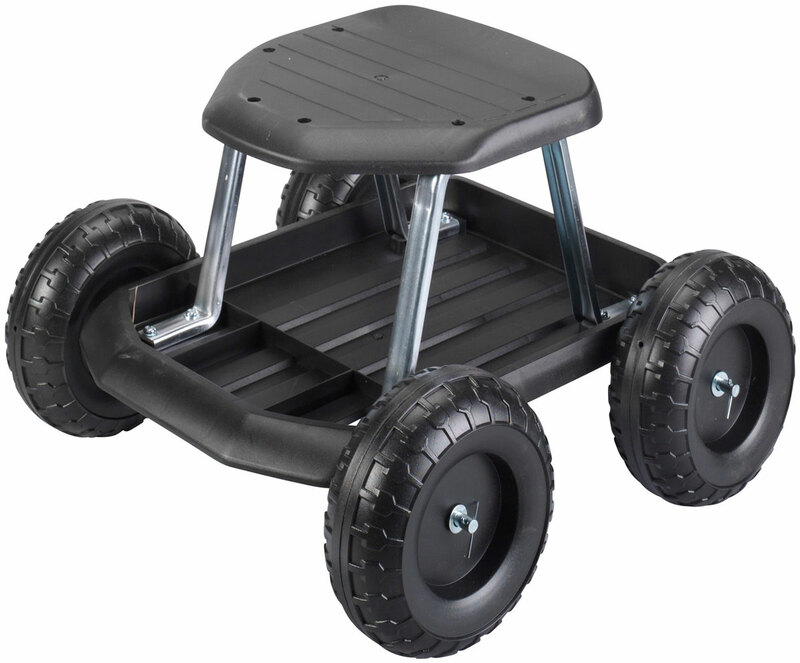 Since it is light-weight, it is easy to move around wherever it is needed. for kneeling to get down to low cupboards. I used it when washing my floors on my hands and knees. I can get up, but not as good as I could when I was younger. Love the handles. I also use it when I need something out of my low cupboard area. Folds up nicely and there is no assembly required. I got mine ready to go. 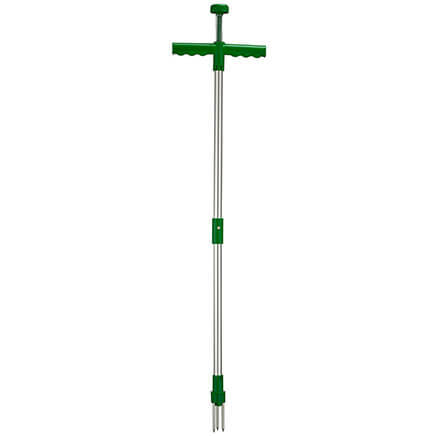 Having a knee problem, this product allows one to continue gardening. Sturdy and easy to assemble. At age 76, I have been using knee pads for several years while working in the garden but lately I've been having trouble getting back to my feet. 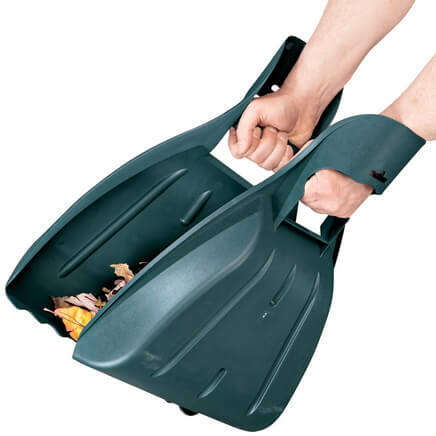 I kept an upside down bucket nearby and use it as a aid in standing until I saw the Gardeners Knee Rest advertised. I ordered one and liked it so well I ordered one for my daughter and she says it is the best gift I ever gave her. We call them "Our Garden Pews". On uneven ground, I suggest using a piece of wood as a platform for the knee rest to add stability. 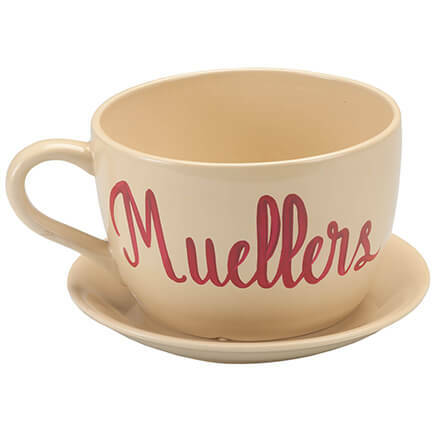 This product is terrific. One day I found myself kneeling on the ground, pulling weeds and then I couldn't get up. I didn't have anything for leverage. That's when I started to look for someting that I could use. Now I keep this with all my gardening stuff. When done working I hold on the the handles and push myself up. It's just what I needed. Thanks! I love this kneeler. It is lightweight and easy to handle. It is comfortable to kneel on and the handles make getting up easy for me and my arthritis. I use my old one all the time and it has lasted me for many years. It has finally worn out and I am delighted that I can still get a new one. Really helps when arising from a kneeling position. Foam pad is too soft so I added my own kneeling cushion. 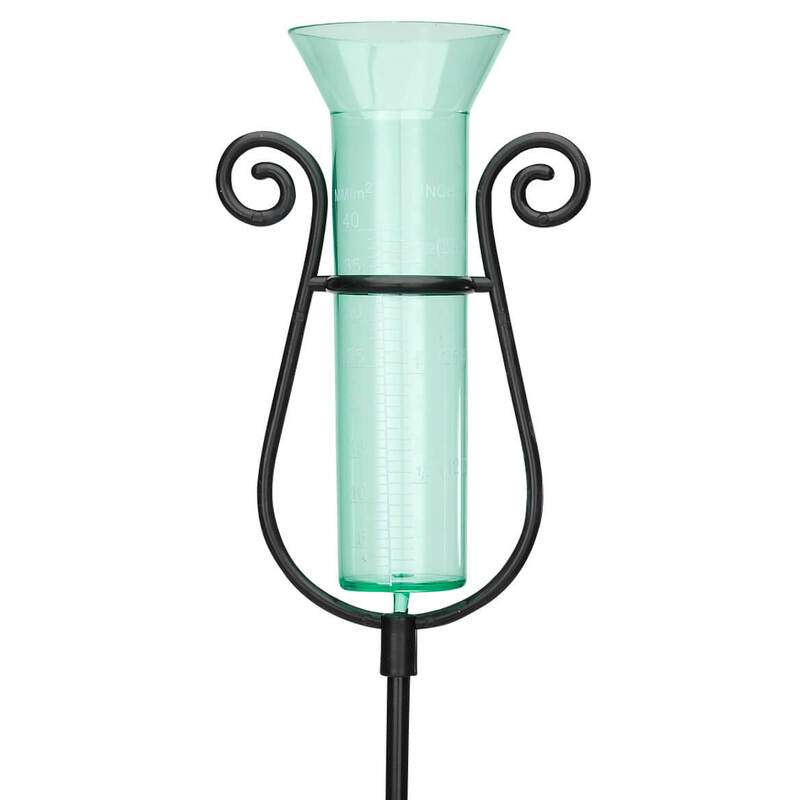 Useful indoors as well as in the garden. I didn't think it looked all that sturdy after I put it together, but my husband can use it so that is great! The foam piece really should be covered but works fine and really gives your knees a nice cushion. I've actually grabbed one of my other kneeling pads and thrown it on top of the other cushion...I can kneel for as long as I need now! It works fine without the additional cushion but I'm short so that gives me a little more height and reach in the garden. The big surprise for me was how even my husband, who has had knee surgery, finds getting up so much easier with using the hand bars on this! I would recommend this to anyone with knee troubles! Great for both indoors and out. Out doors to pick weeds and other gardening projects. Indoors to clean corners and base boards. I'm a 68 year old woman who has trouble getting up from the floor and this works wonders. So helpful in getting up! I use the knee rest basically to have something to support getting down on my knees and again something to push off to get back up. Very helpful. I have used this product a lot already. 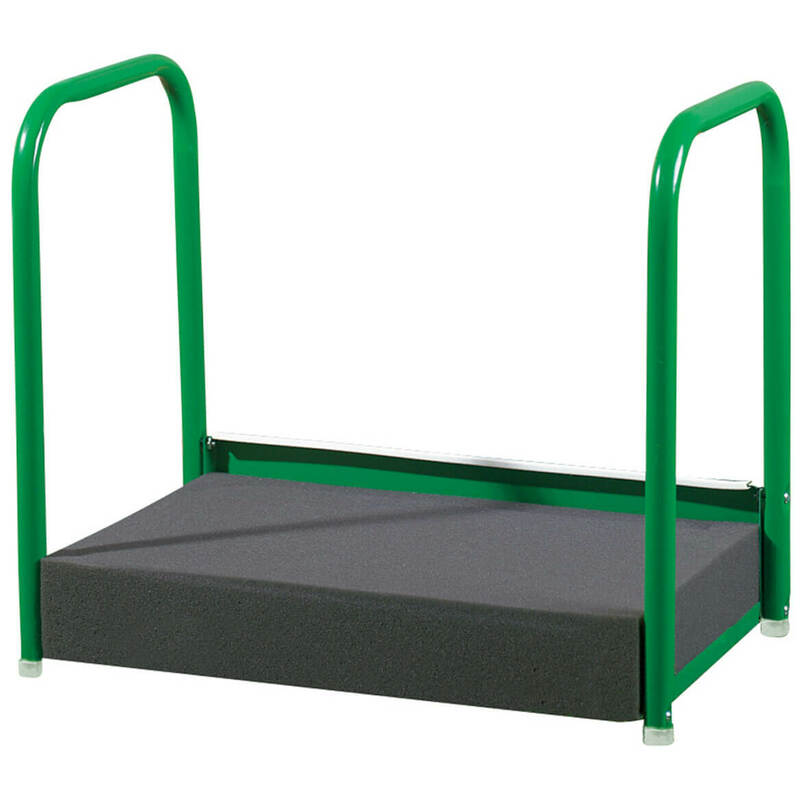 The sturdy metal frame helps me get up and down easily. The pad is nice, but I wish it was thicker and had a cover. I put a pillowcase on it, then a vinyl gardening mat on top of it. The pillowcase protects the pad, and the gardening mat provides extra cushioning. Despite having had to enhance the mat in this manner, I really like the product and would definitely buy it again. Haven't tried it as yet. Do like the more expensive one . Great for anything requiring kneeling, but the cushion definitely needs a cover--was very disappointed in that and I even thought the first one I received was incomplete without it, but then when they sent me another one and it was the same, was disappointed. When gardening, dirt will get into the pad without a cover. Inexpensive, but useful tool in the garden. I have definitely gotten my money's worth. It helps me get up from a kneeling position since I can't normally. I have been able to garden this year alot more easily and I have gotten more done. I would definitely buy it but put an old pillow down in replace of the cheap foam piece. I love it!!! Wife bought this based on other reviews. She has a hard time standing from a kneeling position and bad knees and is an avid gardener. The rear (where you put your knees) only has one screw holding the side bar. The bars can collapse inward if you move wrong when standing. The bottom is thin sheet metal. The hardware is substandard. However, I did replace the hardware and added braces to the rear and across the bottom, it is now a very sturdy piece of garden equipment with very little weight added. Would be an excellent product if the foam was covered in vinyl - even if it cost a little more. This is a complete piece of flimsy garbage. It is unusable. It does not protect your knees -- the foam pad is too squishy and soft. If you purchase this, you will throw it away after the first day. Do not like it at all. The safety handles not high enough! As I stated above, the safety handles are not high enough to help a person stand up after use. I most likely will donate to a thrift shop!! I USE THE PRODUCT FOR BOTH PLANTING FLOWERS AND REMOVING WEEDS. Have trouble getting down and up to garden and always need a pad Looks like a great idea. I purchased one and love it. My friend asked me to order one for her. When we need to clean, this will be a big help with the job. I have been using just a simple foam pad, and it's hard to get up off my knees. Need to do some low-bed gardening and have not-so-great knees. This will help me up and down as well. Getting older, and rising from a kneeling position is no longer easy. The frame will make it easier. Needed something like this to enable me to get up from gardening. I have arthritic in my knees and this will make weeding my roses possible. 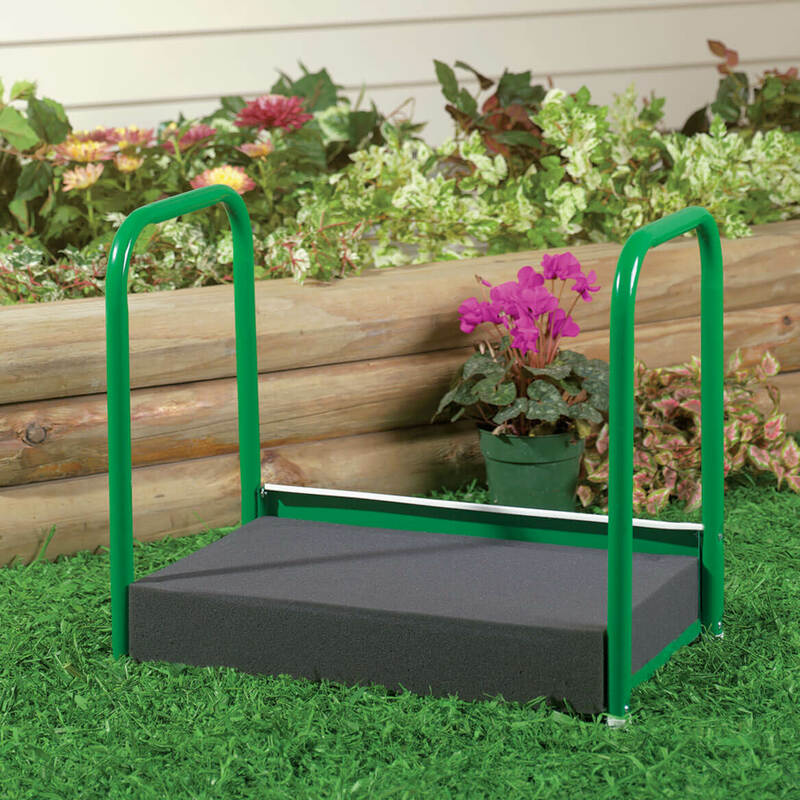 I needed this because I have back issues and with this I am able to get down either in the house or outside in the garden and I dont need help getting up it is really helpful for me. handles to help get up. I have had double knee replacement, thing this will help comfort me when I get 'on my knees' and work in flower beds and needed jobs easiest to do on knees. in not 25 years old any more. great for helping me get up! Need for taking care of yard and weeding. I had one of these before and I loved it. It is so easy to cart around and made of metal it was strong. I also like it because I'm right on the ground level so I don't have to bend so far. My knees are are sensitive and it hurts to get up. I have trouble getting up from a kneeling position so I thought this item would make it easier to do my gardening. had one but it was stolen. Looking for something to ease my back pain while I am trying to work in my garden. BEST ANSWER: Thank you for your question. The weight limit is 660 lbs. We hope this information will be of help to you.